Ann Bennett’s Bamboo Heart begins with Tom Ellis, a captive of the Japanese working on the Death Railway in 1943, in solitary confinement. It is in these opening pages and the narrow confines of his pit prison that we learn what gives him the will to live. Tucked in his chest pocket is a photograph of a young Eurasian woman from Penang, Joy De Souza – this is but one of the threads in Bennett’s first installment of her WWII trilogy. At the end of the Second World War allied intelligence services surveyed newly-released prisoners of war with so-called liberation questionnaires. My novel, Bamboo Heart, started life when I discovered my father’s liberation questionnaire in the National Archives at Kew. It was an amazing moment when I first saw it; written in his perfect copper-plate hand in pencil, it answered so many questions I would like to have asked. From that moment I knew I had to write about his experiences as a prisoner-of-war on the Death Railway in Thailand. This discovery was the culmination of a lifetime’s quest to find out what had happened to my dad during the war. He died when I was only seven, and growing up I became increasingly interested in his past. He hardly spoke about the war, having started a new life with my mother on his return to England in 1945. 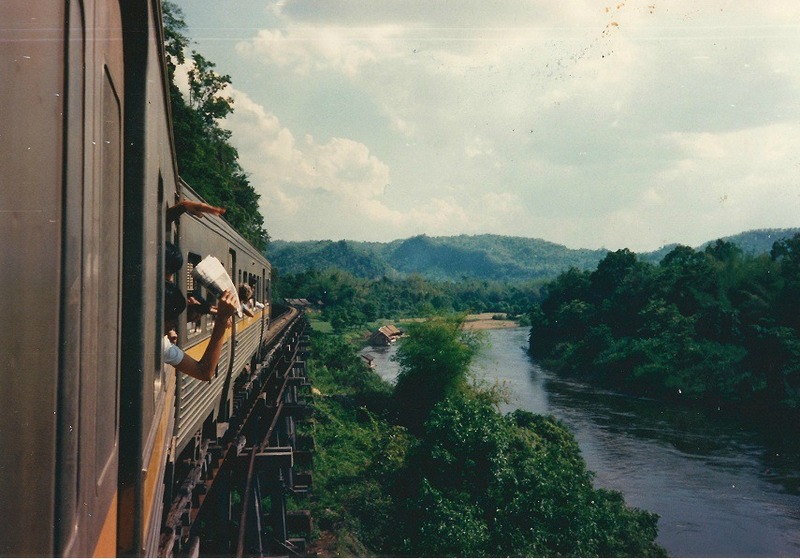 I was interested enough to travel to Kanchanaburi to see the railway in 1988. On that trip I fell in love with South East Asia, but found out very little about what had happened to dad there. The scenes I was describing were harrowing. So to lighten the mood, I broke it up with flashbacks to Tom’s pre-war life in colonial Penang, where he fell in love. I also introduced a parallel modern plot, the story of Tom’s own daughter’s search for the truth about the war. For Laura’s story I drew upon my own life as a disaffected young lawyer in the eighties, and upon my memories of those times. The novel touches on the Wapping Riots, which I remember well as I lived in North London at the time. Co-incidentally the first day of serious rioting was 15th February 1986, the anniversary of the Fall of Singapore. Welcome to my first post on a new regular blog about my writing. 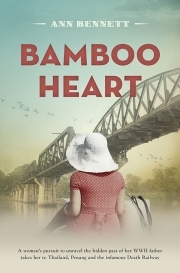 I’m getting ready for the upcoming UK launch of my novel Bamboo Heart, published by Monsoon Books and have been thinking back to what first inspired me to write the book. It is the story of Tom, a British soldier during world war II who is captured by the Japanese at the fall of Singapore and sent to work on the Thai-Burma railway. Decades later his daughter Laura travels there to try to try to piece together what happened to him during the war. The seeds of the idea were sown over twenty five years ago when I first went to visit the River Kwai and the death railway with my mother. I had grown up knowing that my dad had been a prisoner there during the war and that he’d never recovered physically from the experience. Dad died when I was seven, and the urge to find out about his wartime experience grew stronger as I grew older. When I was in my twenties I decided to go to Thailand to discover as much as I could for myself. It was not easy then to find information out about what happened to individual prisoners, and I don’t think their records were available in the National Archives as they are now. But Mum and I travelled to Kanchanaburi, stayed in a bamboo hut right on the river and saw as much as we could of the railway, the bridge on the river Kwai and the only museum that was there at the time – the JEATH museum. It was not an easy experience for either of us, especially for Mum – she was of the generation that wanted to forget. During that trip I kept a diary, and that has been the source of inspiration for quite a few of the scenes in the book.Here is a link to my website page of some of the pictures I took then. Over the next few posts I’m going to add my diary entries too, and post further instalments about the ideas behind Bamboo Heart.